Since 1990 Home Fitness has been Wichita's most complete fitness store. Featuring high quality fitness equipment, from cardiovascular to strength training to premium nutritional supplements. 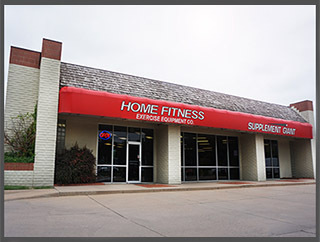 Home Fitness is locally owned and operated in the Tallgrass Shopping Center at 21st & Rock Road. Let us help you reach your fitness goals from the comfort of your own home.